Nobody asked me what the NH GOP’s biggest problem is. And few, if any, will care what I have to say. But that’s OK because I’ve been through this before in another volunteer organization and I know how change works. More on that later. As every Republican takes their turn at the virtual microphone to offer their opinion, the most common problem identified is money (or lack thereof). But money is not the problem for the NH GOP. It’s a symptom. Naturally, the first reaction is going to be to blame that spending gap for the haymaker Democrats just landed on Republicans. More money means more mailers, more advertising, more canvassers, more everything. Here is the key question as far as I’m concerned: Did Democrats persuade more people because they spent more money or did Democrats raise more money because they persuaded more people? I believe that blaming the spending gap is a dangerous misdiagnosis for Republicans. If the party believes that the answer is simply to figure out a way to raise more money, they will be treating the symptom instead of the disease. The problem is that the NH GOP is stuck in the past with an outdated model of the world. And by outdated, I am talking about way back ten years ago. The problem is the Internet — or rather that they have not adapted to it yet to the degree that the Democrats have. The problem is that they fail to recognize the roles of institutions vs. collaboration in the age of the Internet. What does that have to do with the NH GOP? The message of his book was aimed squarely at institutions and how they would be forever changed by the Internet. Institutions came about in order to solve a coordination problem. “Groups get complicated faster than they get large,” says Shirky, and the institutional solution to that problem is a hierarchy. “Because the cost of letting groups communicate with each other has fallen through the floor…,” argues Shirky, “there has been a second answer which is to put the cooperation into the infrastructure.” Democrats understand this implicitly. Their institutions have adapted to this change. The NH GOP has not. The complete answer is too long to include in this article. But fundamentally it means that the NH GOP must become an institution as an enabler as opposed to an institution as an obstacle. It may sound a bit harsh to describe the NH GOP as an “obstacle.” Let me give you an example. I’ve had a couple of dozen conversations with NH GOP leaders over the past 10 years in which I’ve told them my expertise is in social media and I want to contribute. Their response has unfailingly been, “We’ve got that covered but you can give us money or knock on doors.” I could do those things (and have) but they don’t leverage my talents and they have blocked me from making potentially much more valuable contributions. They didn’t do this out of malice or even out of ignorance. They did it because the institution is designed to “filter, then distribute” instead of “distribute, then filter.” They are inherently a hierarchical, centralized institution. That becomes a very big problem when your resources are limited. Their capacity to filter becomes extremely small compared to the supply. To their credit, Democrats have leveraged technology to largely decentralize efforts. They’ve decentralized raising money with ActBlue. They’ve decentralized the resistance movement with StayWoke. They’ve decentralized organizing with NGP Van. The NH GOP needs a leadership team that understands this new dynamic. I know that a common reaction to this article will be, “We’re already doing that.” But the people who would say that are using social media as a decoration, not as a collaboration strategy. They fail to understand the fundamental difference between planning and coordination. They fail to understand the role the Internet is playing in our society. EDIT: I’ve heard from several people who read this article and have commented to me that technology is only part of the solution. I agree and those comments mean that I have not clearly articulated my point. Indeed, technology is not the answer. It is an external factor that is the inciting incident in this story. The change that must occur is for the NH GOP to alter its focus to be less on grasstops and more on grassroots. I’ll refer back to Drew Cline’s article. He closes by saying, “Incidentally, Jonah Goldberg noted this week that when political parties are weakened, other institutions take up political roles, leading to broader politicization of society.” That was a very subtle reference to a very large threat. He’s saying that nature abhors a vacuum. When the NH GOP fails to achieve its mission, other groups will fill that void. The results of that will be unpredictable, to say the least. I’m not part of the inner circle. I haven’t even been involved with the GOP for very long. So why should anyone listen to me? My answer is that I’ve seen this movie before. If you remove politics from this discussion for a second, the NH GOP is a volunteer organization trying to accomplish a mission. In that sense, it’s not materially different from a professional association and I have a lot of experience with that. I’ve been a volunteer leader for a professional association of engineers for 15 years. In 2009, the Society was in bad shape. It was hemorrhaging members and running massive fiscal deficits. At the time, I was not part of the upper echelon of leadership. I wrote a series of articles that articulated my vision for the Society and what it would need to do in order to reach it. When other leaders read these articles, I was labeled a “kook” and a “heretic.” Nine years later, many of those recommendations have been implemented, I won multiple leadership awards, I spent 5 years on the executive board, and I was recently elected as incoming treasurer. Also, we are two weeks away from approving our first budget with an operational surplus in more than a decade (I am not taking credit for that — simply using it as a data point). In his presentation, Shirky mentioned that institutions faced with the new reality of the Internet tend to go through a process similar to the Kübler-Ross stages of grief: denial, anger, bargaining, depression, and acceptance. I had a front row seat for this process and learned a lot about how institutions adapt. I don’t expect the NH GOP to flip a switch overnight. I’m just planting some seeds and hoping that a few other leaders pick up on the message. We’ll get there eventually. It’s simply a question of how quickly and how many more haymakers we endure in the meantime. If this message resonated with you even a little bit, I encourage you to take the next step. 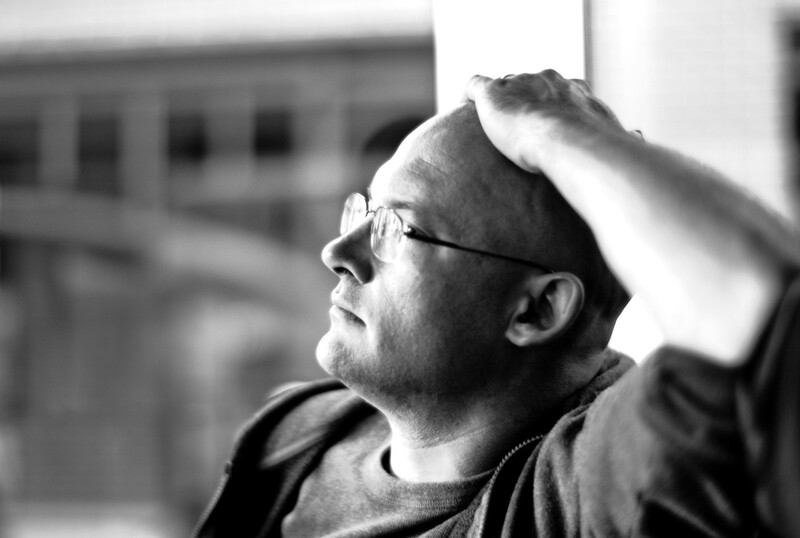 At a minimum, you can spend 20 minutes watching Clay Shirky’s TED Talk from 13 years ago. Even better, read his book Here Comes Everyone. The fact that it is still relevant during a period when 2 years is a technological eternity is telling. Think about the role of an institution in a society that has changed profoundly. Think about the role of candidate and volunteers in that institution. Think about hierarchy vs. coordination.